Take the bus from Fjerritslev Busterminal to Thisted St.
Take the train from Give St. to Struer St.
Take the train from Aarhus H to Struer St.
Take the train from Struer St. to Hurup Thy St.
What is the cheapest way to get from Copenhagen to Hurup? The cheapest way to get from Copenhagen to Hurup is to bus which costs 170 kr - 280 kr and takes 7h 54m. What is the fastest way to get from Copenhagen to Hurup? The quickest way to get from Copenhagen to Hurup is to drive which costs 360 kr - 550 kr and takes 4h 1m. Is there a direct bus between Copenhagen and Hurup? No, there is no direct bus from Copenhagen to Hurup. However, there are services departing from Copenhagen and arriving at Hurup Thy St. via Thisted St.. The journey, including transfers, takes approximately 7h 54m. Is there a direct train between Copenhagen and Hurup? No, there is no direct train from Copenhagen to Hurup. 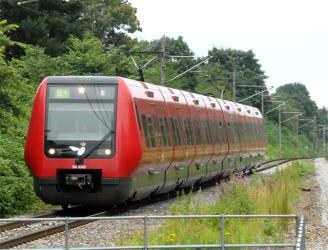 However, there are services departing from København H and arriving at Hurup Thy St. via Fredericia St. and Struer St.. The journey, including transfers, takes approximately 6h 26m. How far is it from Copenhagen to Hurup? The distance between Copenhagen and Hurup is 283 km. The road distance is 393.5 km. How do I travel from Copenhagen to Hurup without a car? The best way to get from Copenhagen to Hurup without a car is to train which takes 6h 26m and costs 380 kr - 600 kr. How long does it take to get from Copenhagen to Hurup? It takes approximately 6h 26m to get from Copenhagen to Hurup, including transfers. Where do I catch the Copenhagen to Hurup bus from? 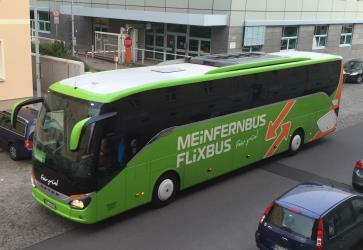 Copenhagen to Hurup bus services, operated by FlixBus, depart from Copenhagen station. Where do I catch the Copenhagen to Hurup train from? Copenhagen to Hurup train services, operated by Danish Railways (DSB), depart from København H station. Train or bus from Copenhagen to Hurup? The best way to get from Copenhagen to Hurup is to train which takes 6h 26m and costs 380 kr - 600 kr. Alternatively, you can bus, which costs 170 kr - 280 kr and takes 7h 54m. What companies run services between Copenhagen, Denmark and Hurup, Denmark? You can take a train from Copenhagen to Hurup via Fredericia St. and Struer St. in around 6h 26m. 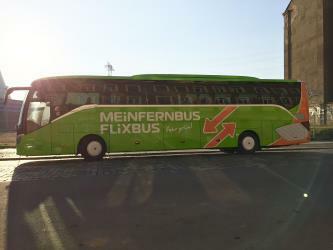 Alternatively, FlixBus operates a bus from Copenhagen to Hurup 4 times a week. Tickets cost 150 kr - 260 kr and the journey takes 6h 5m. Train from København H to Fredericia St. Train from Fredericia St. to Struer St. 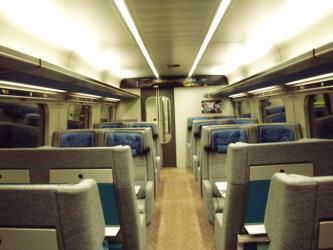 Train from Aarhus H to Struer St. 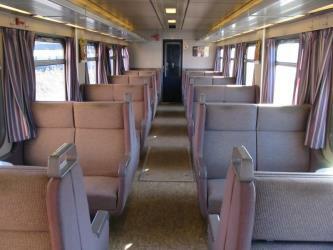 Train from København H to Aalborg St. Train from Give St. to Struer St. Train from Struer St. to Hurup Thy St. Bus from Aalborg Busterminal to Thisted St. Bus from Fjerritslev Busterminal to Thisted St.
How long is the flight from Copenhagen to Hurup? The quickest flight from Copenhagen Airport to Aalborg Airport is the direct flight which takes 45m. Where does the Copenhagen to Hurup bus arrive? 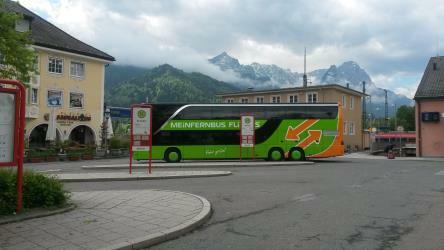 Copenhagen to Hurup bus services, operated by FlixBus, arrive at Thisted station. Where does the Copenhagen to Hurup train arrive? Copenhagen to Hurup train services, operated by Danish Railways (DSB), arrive at Struer St. station. Can I drive from Copenhagen to Hurup? Yes, the driving distance between Copenhagen to Hurup is 394 km. It takes approximately 4h 1m to drive from Copenhagen to Hurup. Which airlines fly from Copenhagen Airport to Aalborg Airport? Scandinavian Airlines and Norwegian Air International offer flights from Copenhagen Airport to Aalborg Airport. Where can I stay near Hurup? There are 546+ hotels available in Hurup. Prices start at 320 kr DKK per night. How do I get to Copenhagen (CPH) Airport from Copenhagen? The best way to get from Copenhagen to Copenhagen Airport is to train which takes 13m and costs 45 kr - 65 kr. Discover how to get to attractions and hotels near Hurup. Jesperhus is a 8 ha family-owned resort around Legind Bjerge, south of Nykøbing Mors, Denmark. It includes a resort, a flower park, and an indoor zoo. Thy National Park is a National Park area in Thy, Denmark, opened to the public on 22 August 2008. It is located in Northwest Jutland, along the coast from Hanstholm to Agger Tange and it spans 55 km north to south and 5 – east to west. The total area of the national park is 244 km2 (94 square miles). The Lemvig Museum is a local museum in Lemvig, Denmark. It has a number of exhibits about local points of interest, most notably the wreck of the Russian warship Alexander Neuski in 1868, which is the subject of a major multimedia exhibition. Rome2rio makes travelling from Copenhagen to Hurup easy. Rome2rio is a door-to-door travel information and booking engine, helping you get to and from any location in the world. Find all the transport options for your trip from Copenhagen to Hurup right here. Rome2rio displays up to date schedules, route maps, journey times and estimated fares from relevant transport operators, ensuring you can make an informed decision about which option will suit you best. Rome2rio also offers online bookings for selected operators, making reservations easy and straightforward.